Mandawa is the most happening town of entire Shekhawati tourism sphere. 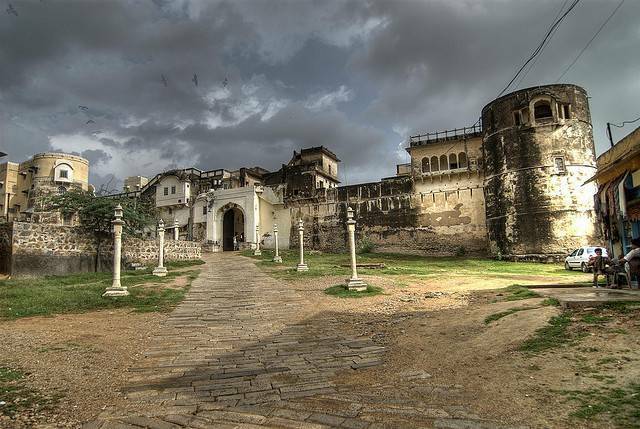 Thakur Nawal Singh built the fort at Mandawa in 1755AD. Today, Mandawa houses a legacy full of Heritage and Rajput Art. Any trip to Shekhawati region is incomplete without a trip to Mandawa. The interiors of Mandawa Fort are influenced from Seesh Mahal of Amber Fort, with lots of mirror work in the walls and the ceiling. The Durbar Hall is a grand portion of the Fort. The other buildings of the town were built by the wealthy merchants Marwaris. Mandawa Fort has been converted into a heritage hotel.